Now your speaking my language…hot pancakes. I’m not really a sucker for pancakes, but free hot food? Heck ya! Yesterday the student ministry at Gateway went through dozens of pancakes, probably a few hundred. Why? A touchdown had literally just been handed to us and I wanted to go for 2 rather than settle for a field goal. Let me explain. Gateway has done a phenomenal job of making me and my wife feel welcome to the church. This weekend we were introduced to 300+ volunteers and leaders at a conference and then again in all Sunday morning services yesterday, TOUCHDOWN! While we could have simply just expressed our gratitude we took this opportunity to welcome others! We invited parents to meet us after service while also putting the ask out to anyone who may have the interest in serving students. What did we get in return? We have 22 brand new contacts that have expressed interest in serving students! What did it take to make this happen? Approval from my supervisor and church leadership – don’t burn bridges, or pancakes for that matter!!! Prayer. I have been praying about this eagerly and with anticipation since it was a reality. Leaders/Volunteers giving some extra time, committing to more than one service – helping flip pancakes and talk with potential volunteers. A clear invite – Are you a parent? Do you have an interest in serving in student ministry? 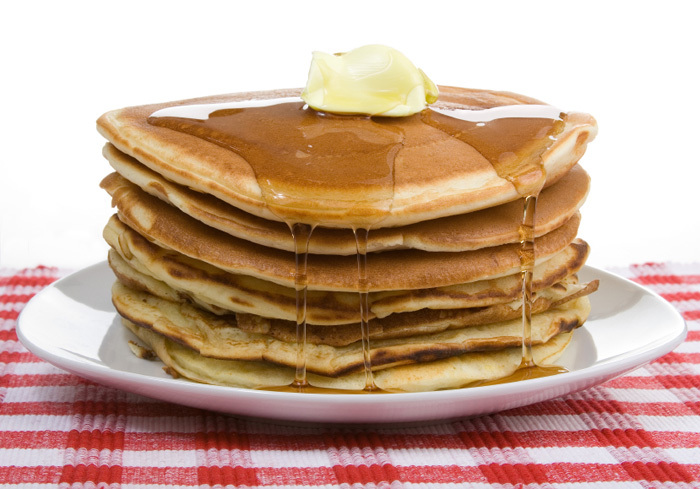 Come have pancakes with us, we would love to meet you! Keep it simple. A contact sheet – collect contact information. Just because they grab a volunteer application doesn’t ensure they will be back. The BIG idea: Do something out of the ordinary that involves free food and an opportunity to show others how they can get involved in your ministry! Do you want LIVE updates to your inbox or smartphone? Subscribe via email in the top right corner. Great idea & challenge to creatively yet simply connect with people. Well done. I’m learning from you.